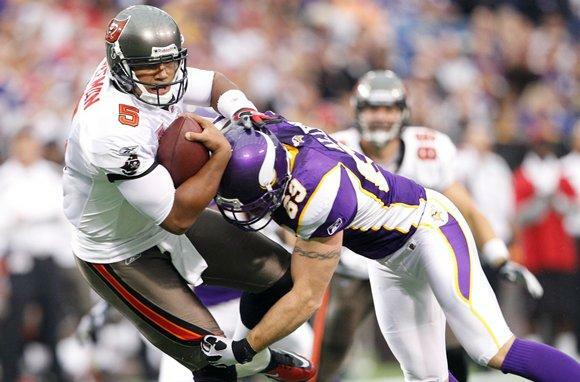 Since their founding days back in 1961, the Minnesota Vikings have developed quite a tradition. Nowadays, it is up to their loyal fans to try and uphold this tradition, while at the same time maintaining an open mind for new additions. Still, there is a difference between one Minnesota Vikings fan to the next. There is rarely anyone who wouldn’t be able to tell you the name of their fight song, but not as many would be able to identify some the foreign parts inside it. The most dedicated fans go beyond resenting their archenemies, the Green Bay Packers, and are prepared to answer quite specific inquiries at all times. Who is Norm Van Brocklin? Every loyal Minnesota Vikings fan is obliged to know all about the early beginnings of their team, and there is rarely anything more important than the first coach. Norm Van Brocklin, aside from being the first man to take charge of the Vikings in 1961, was also a quarterback at the time. He played for the Philadelphia Eagles and brought them to victory over the Green Bay Packers in the previous season, which only made the guy more popular among the team fans. Every Vikings fan is supposed to know, respect and use the color purple as much as possible. While there is no written rule, you would be surprised to know that there are fans that go as far as to paint their houses in honor of their teams, so it is likely they should expect NetBet sport to start offering Vikings’ odds with the same font color. What’s So Special about the US Bank Stadium? There isn’t a Vikings fan who isn’t glowing with pride over their newest team treasure – the new state-of-the-art team stadium. This construction ended all the troubles known to the Vikings during their years at the MetroDome. The Bank Stadium’s clear roof and one-of-a-kind structure can withhold any weather conditions, and even allows some influence of the elements to be felt, in order to give the viewers and the players a feeling of playing in the open. For those fans who aren’t so keen on meteorology, there is plenty of etymology left to discuss in the short, but feisty fight song of the Vikings. The word “skol” means “cheers” in several languages of the Scandinavian region, mainly used to honor the inspiration for the team name. Most fans will cheer during the game, but only the most loyal ones care enough to learn the meanings of the words. How to Accessorize Like a True Minnesota Vikings Fan? 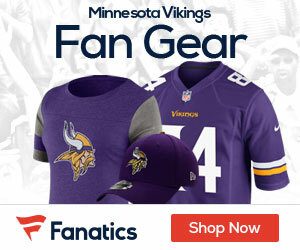 Most fans will be able to tell you what the most important stylish accessories of the Vikings’ fanbase are – their horns. Sundays are reserved for the horned Minnesotans making their way to the stadium, and there is no way you can prove to be faithful to your team if you haven’t once walked the streets to the game proud of your head gear.